We supply original Sterifeed products by mail order. 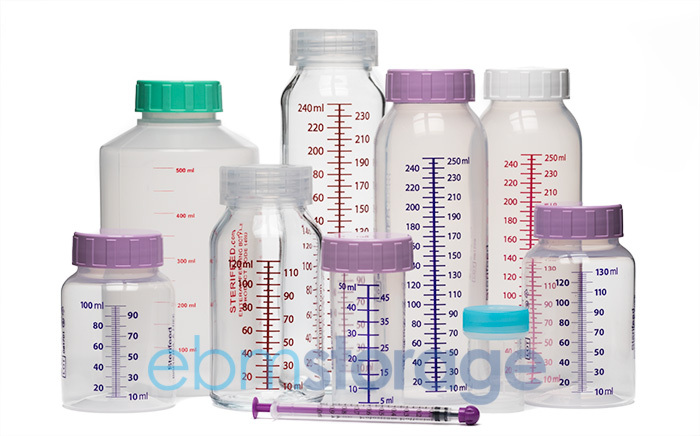 Sterifeed BPA-free breast milk storage bottles, single use latex and latex-free teats are widely used in NHS hospitals. Our glass bottles offer exceptional value and are suitable for fridge or freezer. New Sterifeed colostrum collection and storage products are now in stock. Orders placed before 2.30pm UK time (Mon-Fri) will leave our premises on the same business day. Sterifeed sterile latex free evoprene teat units are a convenient and healthy alternative to latex teats and are engineered for a perfect fit to your Sterifeed bottle. 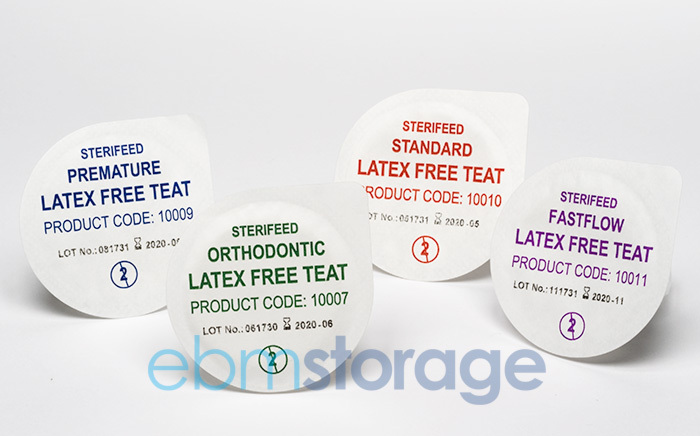 Sterifeed sterile latex teats are also available from stock. Glass breast milk bottles are viewed as the safest option for a chemical free baby bottle, its purity of structure making any interaction with the stored liquid impossible. No BPA, no BPS, no phthalates and easy to sterilise. Made from clarified polypropylene, these are strong breast milk bottles with accurate graduations suitable for pasteurisation & freezing. Sterifeed bottles will attach directly to most leading breast pump sets. ©2014-2018 Richard Cassidy Limited. All rights reserved. Last updated February 2018 (E & OE).